Despite how common rosacea is, we have a poor understanding of its causes.1-4 Rosacea is a common, chronic skin condition characterized by flushing and blushing that may lead to persistent facial erythema as well as inflammatory papules and pustules. 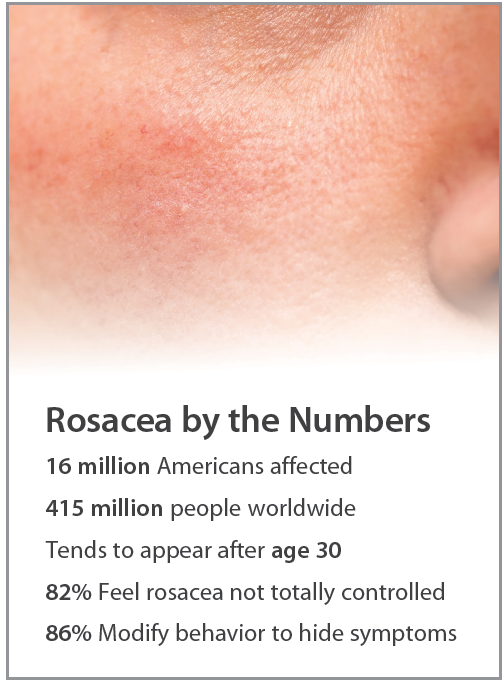 Data from the National Rosacea Society (NRS) estimate that approximately 16 million Americans and 415 million people worldwide are affected by rosacea. Despite how common rosacea is, we have a poor understanding of the causes.1-4 Symptoms of rosacea tend to appear after age 30 and, if untreated, may worsen over time and can significantly impact quality of life. 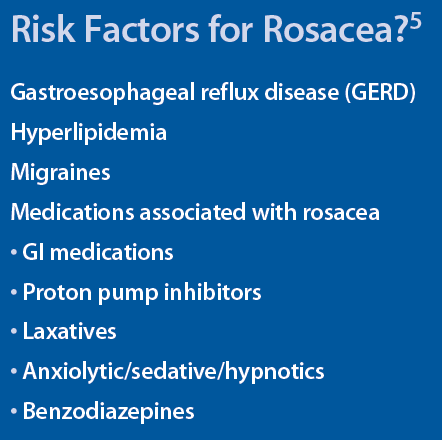 Potential risk factors for rosacea found in the study included gastroesophageal reflux disease (GERD), hyperlipidemia, and migraines.5 Certain medications were also shown to be associated with the development of rosacea. These include gastrointestinal medications, such as proton pump inhibitors and laxatives, anxiolytic/sedative/hypnotics, and benzodiazepines. 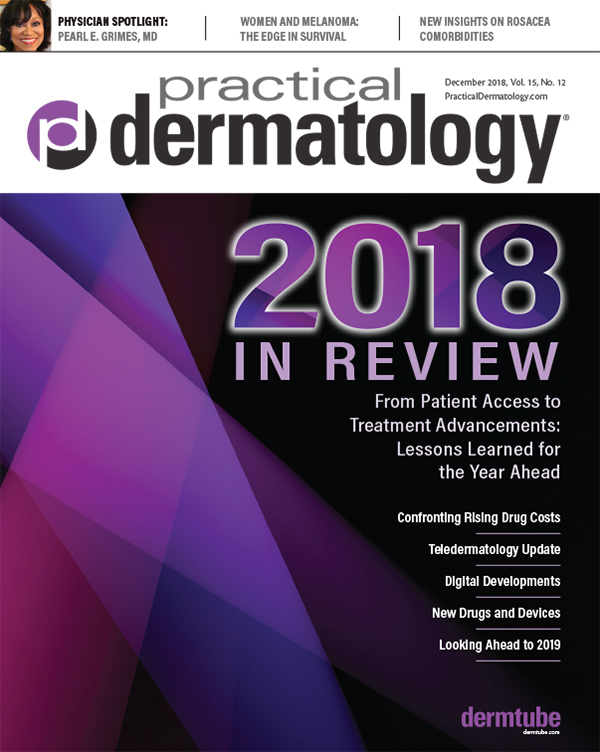 Interestingly, Helicobacter pylori, cardiovascular disease, and peptic ulcer were associated with a reduced risk of developing rosacea.5 Despite these findings, further studies are needed to examine both pre- and post-diagnosis periods to explore any causal relationships between potential risk factors and rosacea. 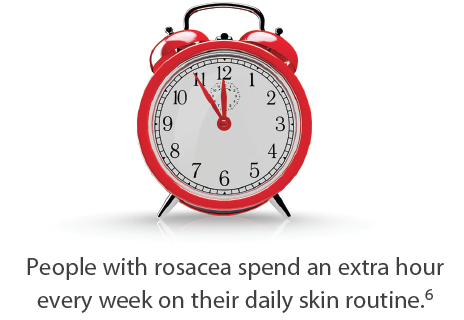 Rosacea is a common skin condition that dermatologists treat every day. 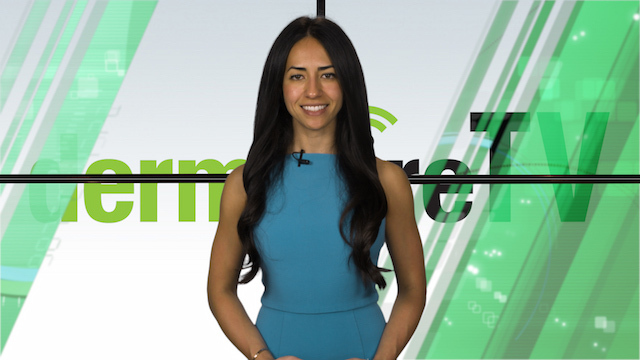 It is important to recognize predisposing factors to better diagnose these patients. Especially in more severe forms, rosacea has a significant psychosocial impact on patients' lives. So early and effective treatments can prevent disease progression and ultimately minimize the burden it will have on patients' quality of life. Joshua Zeichner, MD is Director of Cosmetic & Clinical Research and an assistant professor of Dermatology at the Mount Sinai Hospital in New York City. 5. Chien A, et al. Sociodemographic and Clinical Risk Factors of Rosacea: Analyses from a US Claims Database. EADV Congress 2018.